Climate change is already changing our weather. Does Climate Change Affect Our Weather? Yes. Yes, It Does. 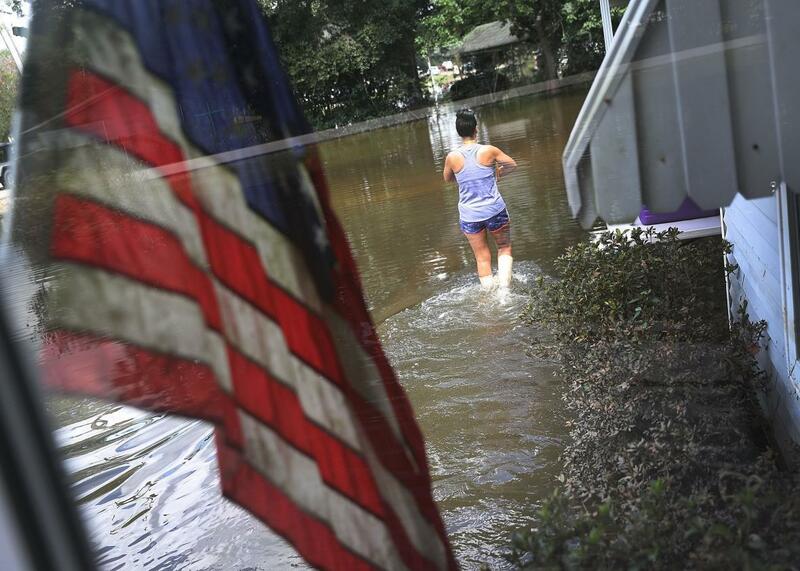 Baton Rouge, Louisiana, was hit by devastating rains and flooding in August, extreme weather almost certainly driven by climate change. What’s the different between weather and climate? There are lots of ways to answer this. Weather is what’s happening now while climate is what you expect long term. Weather is your mood; climate is your personality. Weather is a dog walking with its person while climate is the person walking with the dog. Over time, say in 30 year chunks, weather kinda merges into climate. But however you describe it, one thing is clear: Climate drives weather. You don’t expect hurricanes at the North Pole. The conditions aren’t right to generate them. You don’t expect long, sustained rainstorms in the Atacama Desert for the same reason. Weather is the local and ephemeral effects of climate. So what happens as the globe warms, and climates shift? As more water can stay evaporated in warmer air, and precipitate down in places not used to it, or not used to it in such amounts? Hurricanes are driven by warm water, so as water warms, hurricanes change (they don’t get stronger necessarily, but the strongest ones get significantly stronger). That video was put together by Peter Sinclair for Yale Climate Connections, and he’s made many more terrific ones about climate change. The recent floods in Louisiana, the extreme heat and drought, the records broken all over the world … it’s hard to pin any one of these events to climate change, but taken as a whole? Weather is your mood, climate is your personality. This video also points out something important: Climate change may be slow, but it’s not some nebulous threat in the future. It’s happening now. And come November, we can do something about it.